Developed for our next grinder, retro-fits to the OE Lido 2 Italian Burr models (all Swiss Burr Lido 2 grinders already have it installed!). 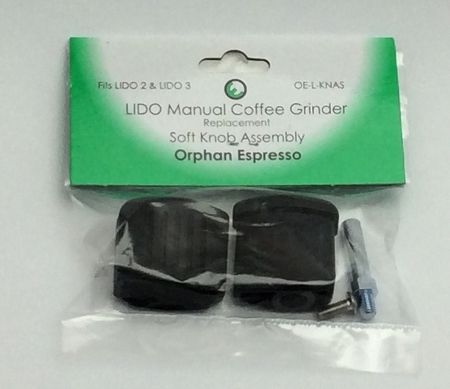 Replacement knob assembly fits all Lido 2 & Lido 3 Manual Coffee Grinders, includes new shaft, screw, hard knob body and soft silicone knob cover. 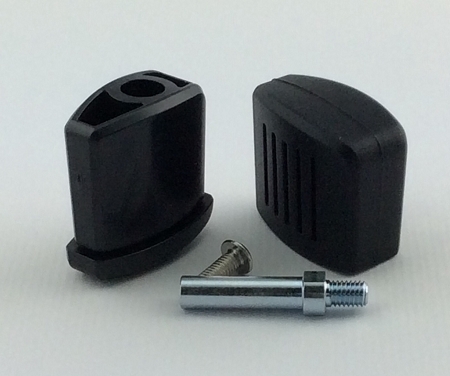 Direct replacement for the original knob. This knob is free spinning, slightly larger, and softer! Simple replacement!